Facebook has said that a "server configuration change" was to blame for the worst outage in its history. It said it had "triggered a cascading series of issues" for its platforms, including WhatsApp and Instagram. "Yesterday, we made a server configuration change that triggered a cascading series of issues," facebook said. "As a result, many people had difficulty accessing our apps and services. "We have resolved the issues and our systems have been recovering over the last few hours. "We are very sorry for the inconvenience and we appreciate everyone's patience." 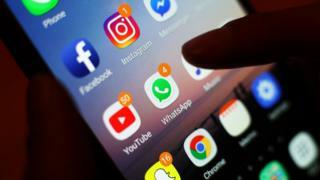 Independent security analyst Graham Cluley told the BBC: "Facebook's motto always used to be 'move fast and break things'. That's fine when you're an innovative start-up, but when billions of people are using your site every month it's not a good way to run the business." "When popular sites like these go dark many people often think there must be a sinister explanation - such as a hacker attack," said Mr Cluley. "However, anyone who has worked in IT for any length of time knows that screw-ups are all too common. It doesn't always have to be cyber-criminals who are to blame."